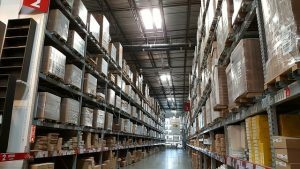 There are many ways to manage warehouse inventory. Some of them are very simple, like making an inventory list. Other ones imply serious organization and employer’s involvement. However, it is not simple items arrangements in the warehouse. It should be a much more serious organization that has an effect on job maintenance. There is a very simple wireless LAN system for it, too. Whatever of these ways you choose to use, remember that proper organization is in the first place. Before any of these options make sure that you have chosen good staff and taught them to manage warehouse inventory. The very first thing that every warehouse manager should do is organization. It is something like planning but particularly adjusted for the warehouse. Even though every organization begins with planning, you should make a plan of how you will check it regularly. It is not important just to be well prepared to manage warehouse inventory. It means that you should plan to check every step of the organization along with forming that step. In that way, you will control it much easier. Controlling these steps should be organized regularly. However, you should make small controls from time-to-time that follows the main checking plan. Those could be planned or not. However, do not forget to organize stuff meeting to inform them about that. It is not only important to check if your warehouse is well organized. You should also control the quality of that organization regularly. You should know if your staff understands the importance of quality control. On the other hand, you have an obligation to teach them how to manage warehouse inventory. 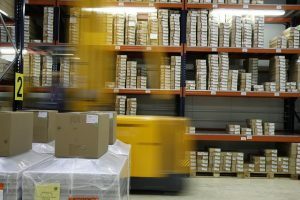 Many warehouses have employers that work in different positions. While some of them work on packing, others are in office typing orders. However, it is important to connect them and improve their communication. In that way, the time between steps will be much shorter. It could be crucial when cargo import and cargo export is about to take place. Like in the house, you will never go to sleep before cleaning it. It is hard to manage warehouse inventory if you leave it in mess every night. You will not be in the mood for cleaning up the warehouse in the morning. Next day you will have a bigger mess again. Avoid that and adopt a healthy habit in your warehouse. Like in every other job, it is important to label inventory first. It is not just a way to manage warehouse inventory. You will be able to follow items, clients and staff thanks to proper labeling. When the warehouse is large, it should be easier to lift everything as much as possible. It could be hard when dealing with heavy lift cargo. On the other hand, proper labeling allows easy following of the items that are on the top. Speaking about lifting the items, you should know your priorities. It means that items that you are planning to use every day should be on the bottom. Boxes on the top are those that you will not use often. Also, provide easy access to everyday items. Do not skip boxes that you may use daily. Although is a surely simpler resolution, it is not a proper way to manage warehouse inventory. Make sure that literally everything in your warehouse is labeled properly. Also, do not forget about your staff and the jobs that they do. Sometimes they cannot know which box an item belongs to. There are many Japan logistic companies that use the same system. The simplest way for labeling is surely by coloring. It means that you could make your own system of coloring and their meaning. Red could be for often used items, for example. Other colors could be by the client’s company or part of the warehouse. It is obvious that any of the organizations could not exist without workers. Good warehouses’ managers chose workers carefully. After the trial period, they will teach them how to manage warehouse inventory. Trust and good communication are very important for the proper work of the warehouse. One of the ways to manage warehouse inventory is to prevent unknown people from entering. In large warehouses, those things happen often. You can drop on pizza boy or client in the middle of the warehouse. Not only that it could ruin your organization, but it could also lead to problems or stealing. We know that for many clients using warehouse Japan that is safe is a high priority. It is always good to make something like a reception for receiving the packages. It could be a small office made of plastic panels and glass. Your clients will know where to ask for help at every moment. It could be a great opportunity for bilingual workers to find a job there. Not only that you should educate your workers properly, but you should also improve the warehouse organization after some period of time. 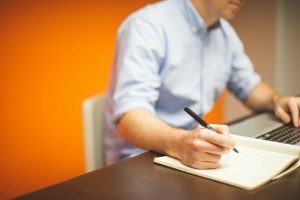 To manage that, you should educate workers to evaluate the current organization. You should inform and teach them about that even more than yourself. It is surely the simplest if you can sit in your office and track packages on the computer. However, the real warehouse problems are on the field. It means that you and your workers should know how to manage warehouse inventory on their own. They should also adopt controlling whenever they can. That will decrease the number of mistakes or missed information.